Moreton-in-the-Marsh is one of the principal market towns of the northern Cotswolds. It is situated on the Fosse Way and is now served by the main line railway from London Paddington. 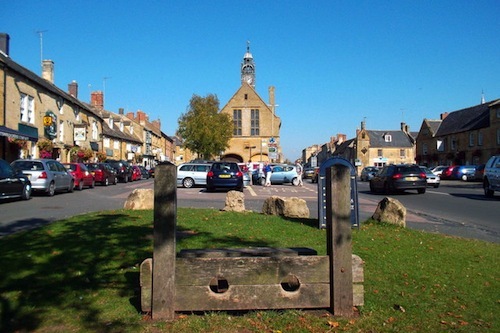 It grew up in the 13th century as a market town with a wide main street, narrow burgage plots and back lanes. The busy Tuesday market still has around 200 stalls, and attracts many visitors. Many of the old buildings along the High Street date from the 17th and 18th centuries.